So here we have a very basic device whose specifications are really out dated but available at a very low price which can actually attract a good bunch of the users. The device will operate on Gingerbread (which is rarely seen these days) and will be available at the price of 3,790 INR which is the cheapest Android device which we have reported these days. 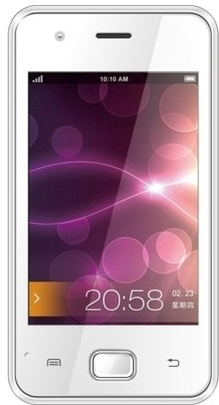 So, this Karbonn Smart A50 is highly suitable for the new Android users. Now coming on to the specifications of this device then you will see the rare Single Core Processor which will be clocked at the frequency of 1GHz and though its price is low and it does not support 3G or it does not even have the in-built GPS but this phone does not miss out on the front camera which is a VAG camera and at the back you will have a 3MP camera and that too with the LED support. The memory is limited on this device with 256 MB internal storage and in there you will have 163 MB available for the usage. The external memory can take this up to 32GB. The display size of this device is 3.5 Inches and that too with the resolution of 480 x 320 pixels which will provide you the decent clarity on the screen. The battery strength available for this device is 1300 mAh which can provide you the talk-time of 5 hours and it is a Dual SIM device which will support the GSM bands on both the slots but do not provide 3G connectivity on both of them. You can locate this device on Flipkart.